East Long Beach holds a special place in my heart because it is where I grew up and where my wife and I chose to buy a home and establish roots. When I talk with tourists or people who are not familiar with Long Beach they often have memorable experiences in the Downtown area at places like the Pike, Convention Center, Terrace Theatre, and Shoreline Village. East Long Beach to many is seen as a very pedestrian residential area….some even call it the suburbs of Long Beach. The quiet, family oriented nature of East Long Beach is what has drawn many homeowners to the area. Here are some of my favorite things to do in East Long Beach. The Pyramid is the home of Long Beach State’s basketball and volleyball teams and the host of many other outside events. 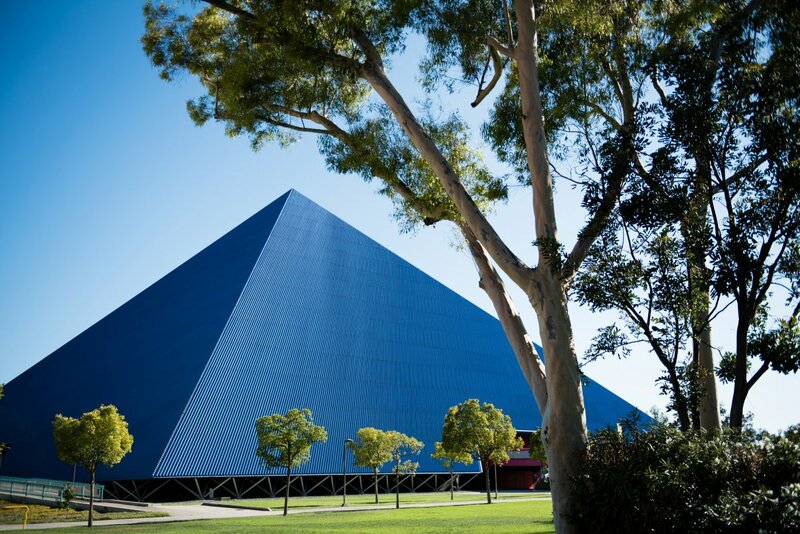 The Pyramid is an iconic East Long Beach structure and it is a great venue to enjoy a sporting event. There is not a bad seat in the house, parking is easy, and the tickets are affordable. It is also a really fun building to walk around and admire. I often catch myself staring at the massive geometric ceiling which is constructed with steel tubes and bolts and stands close to 200 feet tall. If you want to check out a game click the link below and don’t forget to put on your black and yellow! The El Dorado Park Nature Center is a 105 acre nature preserve located just South of Spring Street and West of the 605 freeway. I grew up going to the Nature Center and over 25 years later I am still amazed at how beautiful and peaceful it is. There are 2 miles of trails that wind through the property, which is highlighted by two large lakes, a stream, and plenty of places to take a seat and enjoy the birds and wildlife. If you visit on a sunny day, be on the look out as you cross over the first wooden bridge because you might catch some turtles sunbathing. The City of Long Beach offers some awesome programming at the Nature Center for families and children throughout the year. The Nature Center is open Tuesday – Sunday from 8:00 AM to 5:00 PM and parking is about $5, but if you ride your bike there is no entrance fee, because after all Long Beach is the bike friendly city. Behind the gates of Bixby Hill is a local treasure called Rancho Los Alamitos. The ranch house was built in the early 1800’s by a Spanish explorer and was later sold to the Bixby family of Long Beach in 1881. At that time the ranch was over 26,000 acres flowing all the way down to the coast. Over the years the Bixby’s and their partners slowly sold the land and were involved in developing large portions of East Long Beach, including Bixby Hill. In 1968 the Bixby Family donated the now 7.5 acre Rancho to the City of Long Beach. The ranch house and barns have been meticulously restored and the grounds and gardens are absolutely beautiful. To visit just drive up to the Bixby Hill gate and request to go to the Rancho and the guard will open the gate. The Rancho is open Wednesday – Sunday from 1:00 PM to 5:00 PM. There are docent guided tours and self guided tours available. Reservations are not required. If you’re looking for a great place to spend an afternoon, this is a great place to check out. Another hidden gem is the Japanese Garden at Cal State Long Beach. The garden was donated in 1981 by Loraine Miller Collins in memory of her later husband, Earl Burns Miller. The garden is set on a 1.3 acre parcel and was designed by Edward R. Lovell who also was the master landscape architect for Cal State Long Beach. Lovell visited many similar Japanese gardens throughout the country and even traveled to Japan during the design process. The result is a true sanctuary on campus to the benefit of students, faculty, and the community. My favorite waterfront area of Long Beach is the Peninsula. Even though it is no secret, it is less traveled than Naples Island and Belmont Shore. The Peninsula is a long sand bar at the South East end of the city, with the ocean on one side and Alamitos Bay on the other. If you are looking for a fun and safe place to take you kids to the beach or are looking for a relaxing place to take a swim or sunbathe, the bay side of the Peninsula is the spot for you. There are of course no waves on the bay side, and the beach side is less crowded than the North Orange County beaches. My wife and I own stand up paddle boards that we use on a weekly basis. At the corner of Bayshore and Ocean by the basketball courts there are places to rent stand up paddle boards and kayaks. In my opinion a SUP’ing is the best way to experience the Peninsula and offer a very unique experience if you take them through the Naples canals. Cal State Long Beach is my favorite treasure of East Long Beach. Most of the CSU’s were designed by the State Architect which left them somewhat devoid of spirit, but Cal State was the first CSU to hire a third party master architect to design, plan, and unify the entire campus. 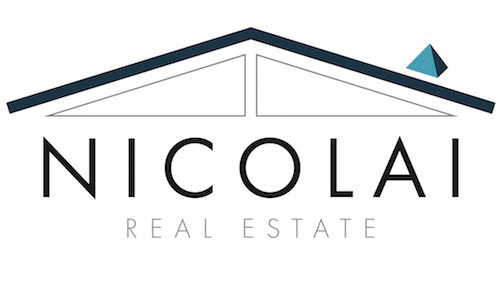 Edward Killingsworth was hired in 1962 as the master architect and he created a unified building plan using timeless modern architecture and the standardization of materials, namely brick, exposed concrete, steel, and many large glass windows. In addition, Killingsworth believed that landscaping was of equal importance to the buildings themselves so he hired the local landscape architect Ed Lovell to help him design the park-like atmosphere he desired. Killingsworth envisioned a flowering tree theme and Lovell suggested ornamental flowering peach trees. The citizens of Long Beach donated funds for over 3000 of these trees to be planted campus wide. The Horn Center, pictured above, is one of my favorite spots on campus. The large patio cover offers a nice shaded area to take a seat and the view through the building of the Pyramid is striking. Anybody who has spent time on campus has an spot that resonates with them. Every time I take a walk or bike ride on campus I find a new structure or area that surprises and inspires me. What are your favorite places in East Long Beach?! Please share in the comments below.